The following article appeared in the October 3, 2002 edition of the County Courier a weekly newpaper published in Enosburg Falls, Vermont. Brad Beyor is the son of James Philip Beyor and the grandson of Philip and Ada (Menard) Beyor. FAIRFAX: A cemetery in north Fairfax got a facelift this summer, as Brad Beyor of Brad's Construction put the finishing touches on a new decorative fence. 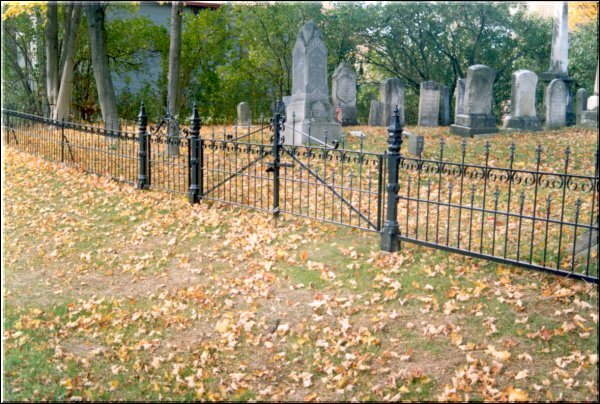 The wrought iron fence on the Beeman Cemetery was budgeted for work last year. "Not very many cemeteries are rich," said Dale Bellows, chairman of the Fairfax Selectboard. The new fence has received much praise from locals, Bellows said, some of whom had never noticed the small burial ground. The refinishing of the fence itself was no small task. "I did it from scratch, from start to finish", said Beyor. "I'm a man of my work, I take on something, that's what I quoted them for, so you do it regardless whether you win or lose." Beyor did the work after winning a $2,500 bid with the town. He tore down the existing fence sections, leaving the large support posts and cutting the decorative tips off each of the posts. Each of the 300 posts was redone before the tips were re-attached. Next, Beyor duplicated the original curled sections of wrought iron in between the posts. The curls were difficult, Beyor said, requiring him to bend the iron around with a tool of his own making. Most sections of the fence consist of 12 tall posts, 11 shorts posts, and 22 curls. Overall, close to two tons of iron was needed for the job. The project took Beyor about six months to finish, as he did the work in between other jobs contracted by his construction company. He estimates it took him approximately 800 work hours. The fence is made up of 14 section, plus three sections which make up two separate gates. The gate pieces are more complex, with additional designs. This was Beyor's first major decorative metal-work project. He also worked on a wood railing for Holy Angels Church in St. Albans. He said he is interest in doing more of this sort of work. The Beeman-North Fairfax Cemetery was first used in 1800 and is named after one of Fairfax's original residents, Joseph Beeman. Beeman himself is buried there, and the last burial took place in 1924. Beeman surveyed many of the roads in the town and the cemetery was started as a family graveyard. There are 258 graves and the cemetery is listed in poor condition with many leaning, down and broken stones, according to Tom Giffin of the Vermont Old Cemetery Association. The cemetery is located on the north side of Route 104, just west of the Saint Albans reservoir. 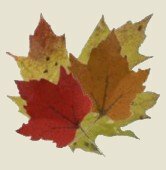 Beyor wanted to thank the following for their aid with the project. : Christopher Vanderoudermeulen, Louis Bates III, Mike Yandow, Rob Newhinney, Sally Beyor, Sticks 'n Stuff - which donated the sonitubes and sakrete, Franklin Rental - contributed the posthole digger, Dale Bellows for the grass seed and hay, and the Town for the fill and leveling.